53. Moreno, J. J.; Espada, M. F.; Campos, J.; López-Serrano, J.; Macgregor, S. A.; Carmona, E.* Base-Promoted, Remote C-H Activation at a Cationic (η5-C5Me5)Ir(III) Center Involving Reversible C-C Bond Formation of Bound C5Me5, J. Am. Chem. Soc. 2019, 141, 2205. 52. Kristinsdóttir, L.; Vasko, P.; Niu, H.; Kolychev, E. L.; Campos, J.; Fuentes, M. A.; Hicks, J.; Thompson. A. L.; Aldridge, S. Borylated N‐Heterocyclic Carbenes: Rearrangement and Chemical Trapping, Chem. Eur. J. 2019, 25, 2556. 51. Pérez-Jiménez, M.; Campos, J.; López-Serrano, J.; Carmona, E.* Reactivity of a trans-[H–Mo Mo–H] unit towards alkenes and alkynes: bimetallic migratory insertion, H-elimination and other reactions, Chem. Commun., 2018, 54, 9186. 50. Do, D. C. H; Protchenko, A. V.; Vasko, P.; Campos, J.; Kolychev, E. L.; Aldridge, S.* N‐nacnac Stabilized Tetrelenes: Formation of an N,P‐Heterocyclic Germylene via C–C Bond Insertion, ZAAC, 2018, doi.org/10.1002/zaac.201800259. 48. Campos, J. * Dehydrogenation of alcohols and polyols from a hydrogen production perspective. Physical Sciences Reviews, 2018, doi.org/10.1515/psr-2017-0017. 47. Espada, M. F.; Esqueda, A. C.; Campos, J.; Rubio, M.; López-Serrano, J.; Álvarez, E.; Maya, C.; Carmona, E.* Cationic (η5-C5Me4R)RhIII Complexes with Metalated Aryl Phosphines Featuring η4-Phosphorus plus Pseudo-Allylic Coordination. Organometallics, 2018, 37, 11. 46. Protchenko, A. V.; Urbano, J.; Abdalla J. A. B.; Campos J.; Vidovic, D.; Schwarz, A. D.; Blake, M. P.; Mountford, P.; Jones, C.; Aldridge, S. Electronic Delocalization in Two and Three Dimensions: Differential Aggregation in Indium “Metalloid” Clusters. Angew. Chem. Int. Ed. 2017, 56, 15098. 45. Campos, J. * Pares de Lewis frustrados basados en metales de transición. An. Quím. 2017, 113, 224-230 [Front Cover]. 44. Sharninghausen, L. S.; Mercado, B.; Hoffmann, C.; Wang, X.; Campos, J. *; Crabtree, R. H.*; Balcells, D.* The Neutron Diffraction Structure of [Ir4(IMe)8(H)10]2+ Polyhydride Cluster: Testing the Computational Hydride Positional Assignments, J. Organomet. Chem. 2017, 849-850, 17. 43. Campos, J.*. Dihydrogen and Acetylene Activation by a Gold(I)/Platinum(0) Transition Metal Only Frustrated Lewis Pair, J. Am. Chem. Soc. 2017 (single-author paper), 139, 2944. 42. Campos, J. *; Nova, A.; Kolychev, E. L.; Aldridge, S.* A Combined Experimental/Computational Study of the Mechanism of a Palladium-Catalyzed Bora-Negishi Reaction, Chem. Eur. J. 2017, 23, 12655 –12667. 41. Campos, J.; Carmona, E. Synthesis and Reactivity Studies of Cationic Ir(III) Alkylidines. α-Hydride Abstraction Reactions, J. Mex. Chem. Soc. 2017, 61, 77-89 (Special Issue dedicated to Prof. Roberto Sánchez Delgado). 40. Shopov, D. Y.; Rudshteyn, B.; Campos, J.; Vinyard, D. J.; Batista, V. S.; Brudvig, G. W.; Crabtree, R. H. A Full Set of Iridium(IV) Pyridine-Alkoxide Stereoisomers: Highly Geometry-Dependent Redox Properties, Chem. Sci. 2017, 8, 1642. 39. Curado, N.; Carrasco, M.; Campos, J.; Maya, C.; Rodríguez, A.; Ruiz, E.; Alvarez, S.; Carmona, E. An Unsaturated Four-Coordinate Dimethyl Dimolybdenum Complex with a Molybdenum-Molybdenum Quadruple Bond, Chem. Eur. J. 2017, 23, 194. 38. Rit, A.; Campos, J.; Niu, H.; Aldridge, S. A stable heavier Group 14 analogue of vinylidene, Nat. Chem. 2016, 8, 1022. [Highlighted in Nature Chemistry, 2016, 8, 993]. 36. Ortega-Moreno, L.; Fernández-Espada, M.; Moreno, J. J.; Navarro, C.; Campos, J.; Conejero, S.; López-Serrano, J.; Maya, C.; Peloso, R.; Carmona, E. Synthesis, Properties, and Some Rhodium, Iridium, and Platinum Complexes of a Series of Bulky m-Terphenylposphine Ligands, Polyhedron 2016, 116, 170. 35. Campos, J.; Peloso, R.; López-Serrano, J.; Carmona, E. Transition metal methyl complexes. Chem. Eur. J. 2016, 22, 6432 –6457. [Highlighted in ChemInform 2016, DOI: 10.1002/chin.201628254]. 34. Mo, Z.; Rit, A.; Campos, J.; Kolychev, E. L.; Aldridge, S. Catalytic BN Dehydrogenation using Frustrated Lewis Pairs: Evidence for a Chain-Growth Coupling Mechanism. J. Am. Chem. Soc. 2016, 138, 3306. 33. Bottari, G.; Santos, L. L.; Posadas, C. M.; Campos, J.; Mereiter, K.; Paneque, M. Reaction of [TpRh(C2H4)2] with Dimethyl Acetylenedicarboxylate: Identification of Intermediates of the [2+2+2] Alkyne and Alkyne-Ethylene Cyclo(co)trimerizations, Chem. Eur. J. 2016, 22, 13715. 30. Sharninghausen, L. S.; Mercado, B. Q.; Crabtree, R. H.; Balcells, D.;* Campos, J. * Gel Matrices for the Crystallization of [Ir4(IMe)7(CO)H10]2+ and [Ir4(IMe)8H9]3+ clusters derived from Catalytic Glycerol Dehydrogenation, Dalton Trans. 2015, 44, 18403. 29. Mo, Z.; Kolychev, E. L.; Rit, A.; Campos, J.; Aldridge, S. Facile Reversibility by Design: Tuning Small Molecule Capture and Activation by Single Component Frustrated Lewis Pairs, J. Am. Chem. Soc. 2015, 137, 12227. 28. Shopov, D. Y.; Rudshteyn, B.; Campos, J.; Brudvig, G. W.; Crabtree, R. H.; Batista, V., Stable Iridium (IV) Complexes of an Oxidation-Resistant Pyridine-Alkoxide Ligands: Highly Divergent Redox Properties Depending on the Isomeric Form Adopted, J. Am. Chem. Soc. 2015, 137, 7243. 27. Frank, R.; Howell, J.; Campos, J.; Tirfoin, R.; Phillips, N.; Zahn, S.; Mingos, D. M. P.; Aldridge, S. Cobalt Boryl Complexes: Enabling and Exploiting Migratory Insertion in Base-Metal Mediated Borylation, Angew. Chem. Int. Ed. 2015, 54, 9586. 26. Campos, J.; Ortega-Moreno, L.; Conejero, S.; Peloso, R.; López-Serrano, J.; Maya, C.; Carmona, E., Reactivity of Cationic Agostic and Carbene Structures Derived from Platinum(II) Metallacycles, Chem. Eur. J. 2015, 21, 8883 [Hot Paper]. 24. Campos, J.; Carmona, E.; Rhodium and Iridium Complexes of Bulky Tertiary Phosphine Ligands. Searching for Isolable Cationic M(III) Alkylidenes, Organometallics 2015, 34, 2212. 23. Manas, M. G.; Campos, J.; Sharninghausen, L. S.; Lin, E.; Crabtree, R. H., Selective catalytic oxidation of sugar alcohols to lactic acid, Green Chem. 2015, 17, 594. 22. Allen, K. E.; Campos, J.; Daugulis, O.; Brookhart, M., Living Polymerization of Ethylene and Copolymerization of Ethylene/Methyl Acrylate Using “Sandwich” Diimine Palladium Catalysts, ACS Catal. 2015, 5, 456. 21. Szabla, R.; Campos, J.; Šponer, J. E.; Šponer, J.; Góra, R. W.; Sutherland, J. D. Excited-state hydrogen atom abstraction initiates the photochemistry of β-2′-deoxycytidine, Chem. Sci. 2015, 6, 2035. 20. Roa, A. E.; Campos, J.; Paneque, M.; Salazar, V.; Otero, A.; Lara-Sánchez, A.; Rodríguez, A. M.; López-Solera, I.; Gómez, M. V., Synthesis of new heteroscorpionate iridium(I) and iridium(III) complexes, Dalton Trans. 2015, 44, 6987. 19. Campos, J. *; Sharninghausen, L. S.; Crabtree, R. H.*; Balcells, D.*, A Carbene-Rich but Carbonyl-Poor [Ir6(IMe)8(CO)2H14]2+ Polyhydride Cluster as a Deactivation Product from Catalytic Glycerol Dehydrogenation, Angew. Chem. Int. Ed. 2014, 53, 12808. 18. Sharninghausen, L. S.; Campos, J. *; Manas, M. G.; Crabtree, R. H.* Efficient, Selective and Atom Economic Catalytic Conversion of Glycerol to Lactic Acid, Nat. Commun. 2014 5, 5084. 17. Thomsen, J. M.; Sheehan, S. W.; Hashmi, S. M.; Campos, J.; Hintermair, U.; Crabtree, R. H.; Brudvig, G. W., Electrochemical Activation of Cp* Iridium Complexes for Electrode-Driven Water-Oxidation Catalysis, J. Am. Chem. Soc. 2014, 136, 13826. 14. Chen, J.; Campos, J.; Mercado, B. Q.; Crabtree, R. H.; Balcells, D. Distortional Effects of Noncovalent Interactions in the Crystal Lattice of a Cp*Ir(III) Acylhydroxamic Acid Complex: An Experimental-Computational Joint Study, Organometallics 2014, 33, 4417. 13. Campos, J.; Hintermair, U.; Brewster, T. P.; Takase, M. K.; Crabtree, R. H. Catalyst Activation by Loss of Cyclopentadienyl Ligands in Hydrogen-Transfer Catalysis with Cp*IrIII Complexes, ACS Catal. 2014, 4, 973. 12. Hintermair, U.; Campos, J.; Brewster, T. P.; Pratt, L. M.; Schley, N. D.; Incarvito, C. D.; Crabtree, R. H. Hydrogen-Transfer Catalysis with Cp*IrIII Complexes: The Influence of the Ancillary Ligands ACS Catal. 2014, 4, 99. 11. Graeupner, J.; Hintermair, U.; Huang, D. L.; Thomsen, J. M.; Takase, M.; Campos, J.; Hashmi, S. M.; Elimelech, M.; Brudvig, G. W.; Crabtree, R. H. Probing the Viability of Oxo-Coupling Pathways in Iridium-Catalyzed Oxygen Evolution Organometallics 2014, 32, 5384. 10. 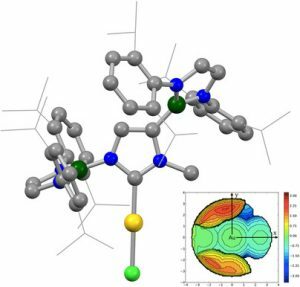 Campos, J.; Peloso, R.; Brookhart, M.; Carmona, E. A Cationic Terminal Methylene Complex of Ir(I) Supported by a Pincer Ligand, Organometallics 2013, 32, 3423. 9. Campos, J.; Espada, M. F.; López-Serrano, J.; Carmona, E. Cyclometalated Iridium Complexes of Bis(Aryl) Phosphine Ligands: Catalytic C–H/C–D Exchanges and C–C Coupling Reactions, Inorg. Chem. 2013, 52, 6694. 8. Campos, J.; Kundu, S.; Pahls, D. R.; Brookhart, M.; Carmona, E.; Cundari T. R. Mechanism of Hydrogenolysis of an Iridium–Methyl Bond: Evidence for a Methane Complex Intermediate, J. Am. Chem. Soc. 2013, 135, 1217. 7. Campos, J.; Peloso, R.; Carmona. E. 2012. Synthesis and Reactivity of a Cationic Pt(II) Alkylidene Complex, Angew. Chem. Int. Ed. 2012, 51, 8255. 6. 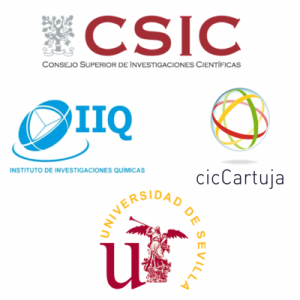 Campos, J.; López-Serrano, J.; Álvarez, E.; Carmona. E. Cationic Ir(III) Alkylidenes are Key Intermediates in C–H Bond Activation and C–C Bond-Forming Reactions, J. Am. Chem. Soc. 2012, 134, 7165. 5. Campos, J.; Rubio, M.; Esqueda, A. C.; Carmona. E. Large-Scale Preparation and Labelling Reactions of Deuterated Silanes, J. Lab. Comp. Radiopharm. 2011, 55, 29. 4. Rubio, M.; Campos, J.; Carmona. E. Rhodium-Catalyzed, Efficient Deutero- and Tritio-Silylation of Carbonyl Compounds from Hydrosilanes and Deuterium or Tritium, Org. Lett. 2011, 13, 5236. 3. Campos, J.; Álvarez, E.; Carmona. E. Synthesis and reactivity of half-sandwich (η5-C5Me5)Ir(III) complexes of a cyclometallated aryl phosphine ligand, New J. Chem. 2011, 35, 2122. 2. Campos, J.; Esqueda, A. C.; López-Serrano, J.; Sánchez, L.; Cossio, F. P.; de Cozar, A.; Álvarez, E.; Maya, C.; Carmona. E. A Cationic Rh(III) Complex That Efficiently Catalyzes Hydrogen Isotope Exchange in Hydrosilanes. J. Am. Chem. Soc. 2010, 132, 16765. 1. Campos, J.; Esqueda, A. C.; Carmona, E. Cyclometalation and hydrogen/deuterium exchange reactions of an arylphosphine ligand upon coordination to [Ir(η5-C5Me5)], Chem. Eur. J. 2010, 16, 419.